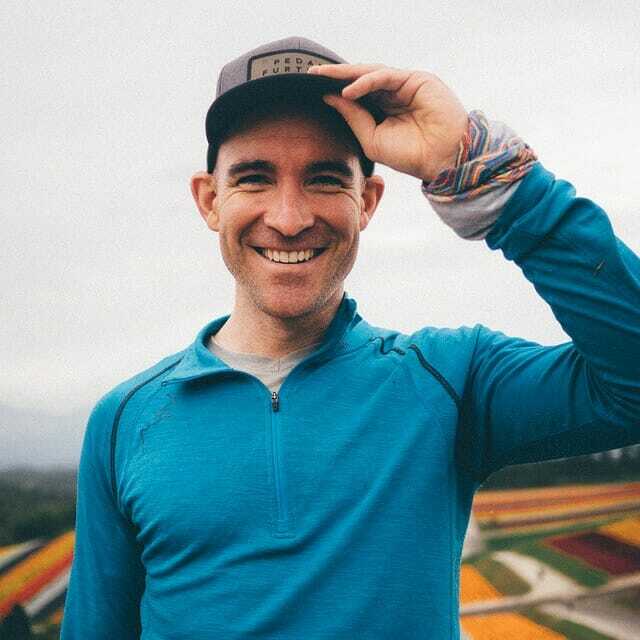 In this long-read Education Series post, Hokkaido Wilds founder Rob Thomson tackles culture, etiquette, and trail manners when ski touring in Hokkaido. With a PhD and lectureship in cross-cultural psychology, he takes us on a trip into the psyche and ideals of 'Japanese culture', before laying down some common-sense codes of conduct that we all need reminding of now and then. As always, if there's something we've missed, please let us know in the comments. 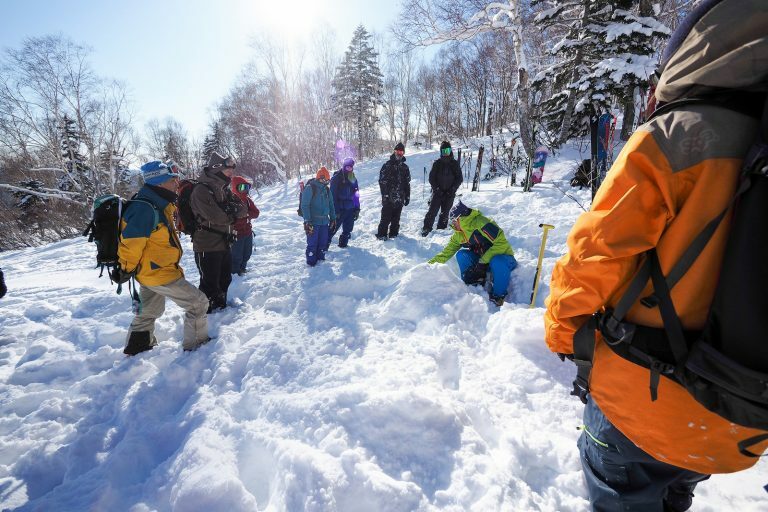 Recent years have finally seen the world wake up to what local skiers in Hokkaido have always known: Hokkaido has the best snow on the planet. Along with this somewhat late-blooming enlightenment, Hokkaido has seen a boom in backcountry skiers from overseas. The majority of locals I speak to see this increase in international backcountry skiers as a positive thing. Along with this positivism, however, also comes with a genuine desire that visitors to Hokkaido’s winter hills enjoy the mountains in ways that reflect an unspoken respect for those hills, natural places, and everyone that seeks to find solace in them. So we decided it was time to make some of that ‘unspoken’ respect ‘spoken’, by outlining some of the more salient ‘manners’ that visitors need to know here in the Hokkaido hills (for safety notes, see this post). Most of these are common sense regardless of where you’re from, but we all need reminding every now and then. Before jumping into the ‘manners’ section, it is worth noting that Japan is a country that likes their relatively unspoken rules. But why? Here’s a bit of culture theory that should help make sense of this ‘different’ way of doing things. Japan has been considered a group-oriented culture for a long time, where consideration for others – hairyo (配慮) – is a relatively large part of daily life. There’s a focus on maintaining harmony in relationships (Yuki & Schug, 2011), and a strong attentiveness to others (Takemura et al., 2010 ). Along with this is a higher tendency to focus on the wider impacts of one’s own behavior (Maddux et al., 2007). Since the earliest times of formal anthropological research, Japan has been known as a place where reciprocity and mutual obligation is emphasized (Benedict, 1946). To make life easier in this somewhat ‘others-first‘ society, Japan is a society where norms about behavior are more strictly enforced than in many other countries (Gelfand et al., 2011). These norms and rules are less likely to be spelled out though – they are often unspoken (see Nishimura et al., 2008). Nonetheless, people grow up in Japan internalizing these rules, as ‘short-hand’ guides for how to behave and think (Yamagishi et al., 2008). But where does all this come from? These tendencies seem to be partly because of Japan’s history and environment. Japan is a highly populated country with relatively few resources, and plenty of threats from the environment – typhoons, earthquakes, and a challenging topography. Historically and today, Japan’s main crop is rice, which requires lots of coordination with others to grow, compared with wheat (Talhelm et al. 2014) and grazing livestock (Uskul et al., 2008). These historical and environment factors work together to mean that people here have had to work hard to get along in order to make society work. This has led to a relationship style here that is more tight-knit and ‘closed’ (less relational mobility; Thomson et al., 2018). And when you’re trying to do life in long-lasting, difficult to change relationships, keeping the peace in an unobtrusive way starts to make a lot of sense. Rules that everyone just ‘knows’ and don’t need to be verbalized, help make society run smoothly. In a recent film I saw, a snowboarding Hokkaido Shinto priest alluded to this idea of being intrinsically attached to others. He said, “our lives are made possible by others, both humans and Nature. We don’t live in isolation (我々の命は生かされているというのを神社の世界はいうんですけれども、僕らの命というのは一人で生きているのではなくて、いろんなものに支えられて・・・)” (at the 10:42 mark). 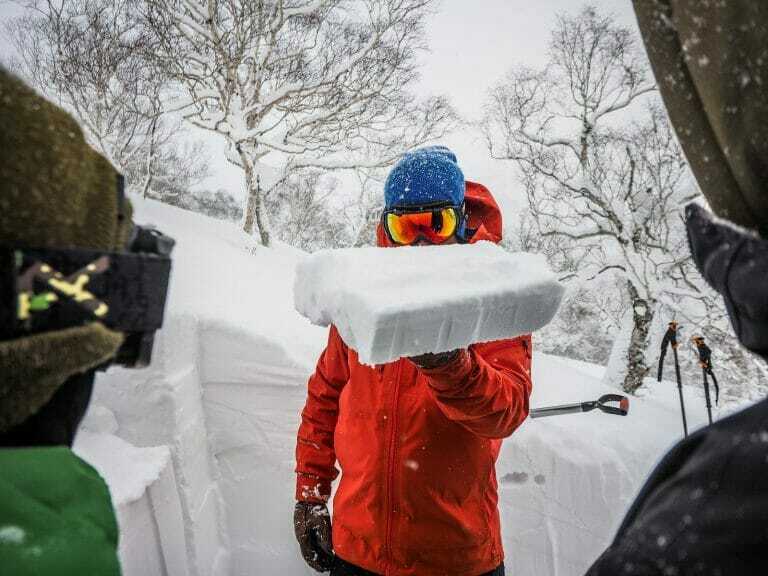 Now, on to the ‘manners’ for ski touring in Hokkaido. P.S. you may see locals ignoring many of these points below. If in doubt, observe and ask. At the trailhead: Particularly on the weekends, winter ski touring trailheads can get pretty crowded in Hokkaido. Note that parking lots marked on maps near trailheads may not be cleared of snow. Also, many ski touring routes simply start from the end of the snow clearing on rural roads where there may be a large-looking clear area…but this is often used by snow-clearing machines to turn around. So what to do? Often, you’ll be parking on the side of the road, so make sure to park as close to the side of the road as possible, leaving room for other cars to pass. If necessary, get the shovels out and dig yourself a parking spot further to the side of the road. Always leave the very end of the snow-clearing free for cars and snow clearing machinery to turn around. Also, make sure not to park close to intersections where visibility due to snow banks etc may be limited (see this post by mountain safety and advocacy group Kamifukai). Overnight parking: One of the best ways to get around and chase the best snow in winter is to hire a campervan. Wheels and accommodation all in one. Winter-oriented facilities for campervans are still playing catch-up in Hokkaido though, so always take care and double-check whether it’s OK to park in that sweet looking parking lot. Most michi-no-eki are a good bet for parking and 24-hour toilets, so keep an eye out for those. Otherwise, a friendly greeting with a local or staff goes a long way – when possible, always check before parking up for the night. Japan is a relatively crowded place. For ski touring in Hokkaido, this means everyone needs to be on point with their trailhead and on-the-trail toilet etiquette. 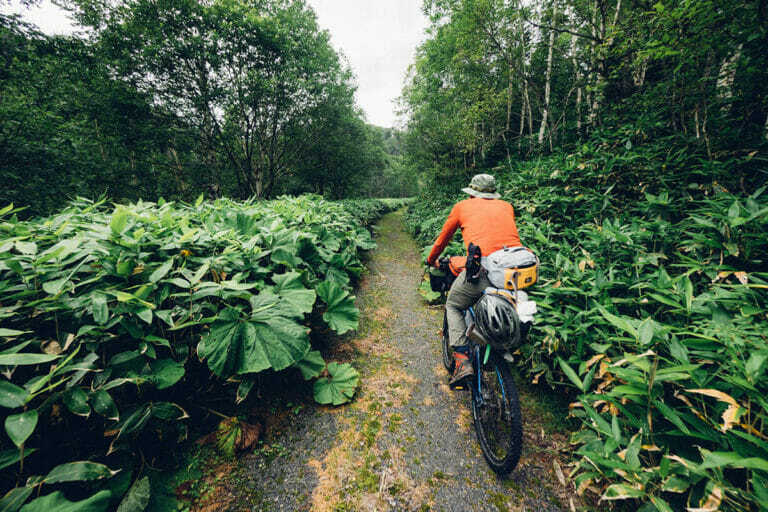 Try to use a toilet at a convenience store before arriving at the trailhead, and if nature calls before setting off on the trail, make sure to do so as far away from the trailhead as is practical. If you’re unlucky enough to have a larger job than a number 1, then the norm in Hokkaido is to use a portable toilet (i.e., a poo-tube or durable ziplock bag designed for the purpose). In any case, toilet paper (even the ‘biodegradable’ type), must be packed out – it should never be left behind in or on the snow. NOTE: Many public toilets are closed up or buried in snow in winter in Hokkaido. If in doubt, make use of a toilet when you have the chance. Related to the above, “leave nothing but footprints, take nothing by photos” applies anywhere in the wilderness, no matter where we are in the world. All trash must be packed out. In Hokkaido, convenience stores happily provide trash bins to draw travelers into the store, so you can drop your daily trash off there (keep quantities to a minimum though – they won’t be happy with a 10 litre trash sack stuffed to the brim). 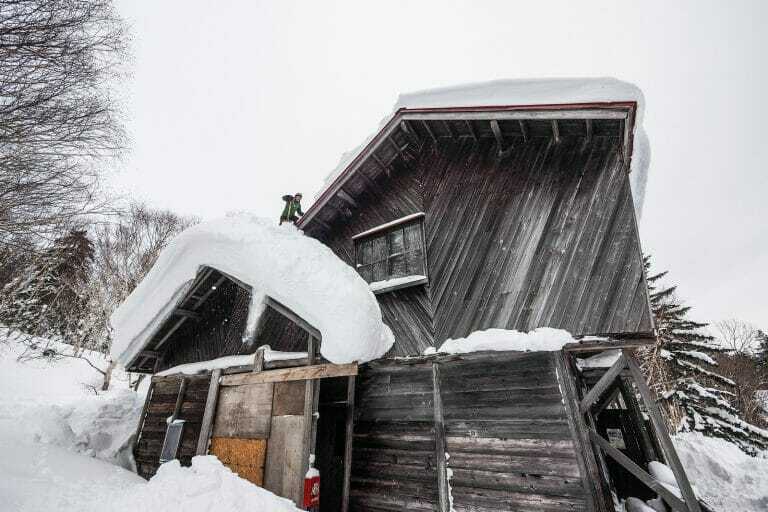 Hokkaido’s huts are maintained through volunteer passion and effort. Most are free or almost free to stay. Here’s some tips to repay this amazing generosity. If the hut requires a booking, make sure to book in advance. If you need to cancel a booking, make changes to numbers, or if before setting off it looks like your arrival will be later than your stated time, contact must be made with the university or organization that manages the hut to let them know of the changes. Always leave a hut cleaner than you found it. There’ll be brooms and brushes around to give the place a sweep before you leave. Keep table space and floor space use to a minimum. Don’t spread out too much, even if you’re the only ones in the hut, as others might arrive after you. If you’re in a hut with a fireplace, keep fuel (wood or coal) use to a minimum. Use only what you need to keep warm. Do replace any wood you used from inside the hut with wood stacked outside. You may need to dig in the snow to access the extra wood. See each hut page for information on the location of extra fuel. In principle, no trash should be burned in hut stoves; pack it out. If the stove is fully extinguished and cold, as a courtesy to the next cold and tired guest, clean out the ash before leaving so that the stove is ready to go. If there’s no obvious place to put the ash, dig a hole in the snow at least 50m away from the hut in an inconspicuous place and dispose of the ash there. In winter, most huts have a strict ‘no boots worn inside’ policy. This will vary, with some huts allowing boots to be worn on the ground floor, but not on the upper floors. If in doubt and there’s no one there to ask, take boots off. Boot liners can always be worn inside. Boots can usually be placed near the stove to dry out. Keep a clear distinction between ‘outside’ footwear and ‘inside’ footwear; as a rule, it’s not proper to walk outside onto the balcony in your liners, and then wear them back inside. ‘Inside slippers’, ‘outside slippers’, and ‘toilet slippers’ might be provided. Again, keep distinctions clear. Many huts have toilets that only handle human waste; if in doubt, all toilet paper should be packed out. Never dispose of trash into hut toilets. 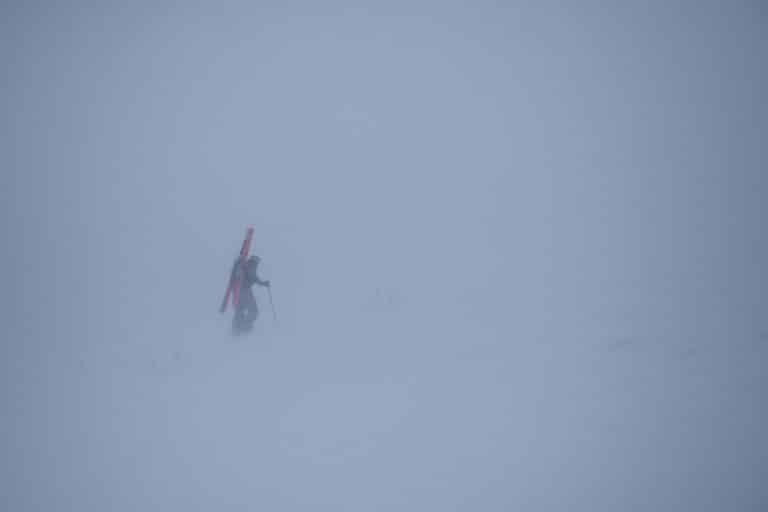 Make sure to brush off as much snow as possible from your person (pack, boots, skis, jacket, etc) before entering the hut. With a warm fire roaring, puddles can form pretty quickly, for people in socks to step in. One thing most visitors to Japan notice right after getting off the plane is the silence in public places. The train from New Chitose Airport to Sapporo central is usually a curious sensory experience. Compared with many places outside of Japan, very few people will be talking or making any noise (and if they are, they’re probably not locals). This respect for others’ “right to peace” appears to extend somewhat to the winter hills. A few locals I’ve spoken to have been surprised at some visitors’ propensity to broadcast music from portable speakers, for example. It’s not something I’ve personally experienced here in the Hokkaido winter hills, but for those who like to share their musical passion with the wilderness, keep aware that not all may share in your refined melodic taste. NOTE: This doesn’t apply to hiking in summer, where radios and music are used by hikers while hiking as a bear-safety device. This is related to the noise point above, but if you’re planning to launch a drone in the backcountry, look around to see if there’s anyone else around. If there is, as a common courtesy, please ask/gesture if they mind if you launch your drone. It is unlikely anyone will refuse. Asking others around you is not only to be considerate of others’ right to a quiet, relaxing time in the hills, but also to avoid any law-related objections. In Hokkaido, there’s no general laws against drone flights in the mountains, but drones in Japan must not come within 30m of people (i.e., strangers) on the ground (see Japan drone safety rules here). Therefore, a friendly greeting to anyone who might come within that 30m – e.g., at mountain summits etc – is worth the effort. NOTE: General drone laws only stipulate the do’s and don’ts at the national level. There are local rules that may be enforced. For example, drones are prhibited in the Niseko United Resort area (details). Always check local regulations before flying a drone. As I mentioned above, Japan’s a relatively crowded place, even in Hokkaido’s winter hills, but in particular in the more busy areas around Niseko and Furano. This poses challenges for users of legal two-way radios, as there may often be multiple users vying for the limited frequencies available for use. As a general rule, common-sense radio rules apply for all users: keep chatter and volume to a minimum, and be quick to switch frequencies if necessary. NOTE: Only radio devices that comply with Japan technical standards can be used in Japan. This rules out most FRS (USA), GMRS (USA), UHF CB (Australia) and PRS (New Zealand) devices, among many others (see details here). Using radio devices that do not adhere to Japan standards is illegal and can result in massive fines and/or jail time. A cheerful greeting on the trail in any language goes a long way in Japan, but even more so if it’s in Japanese. 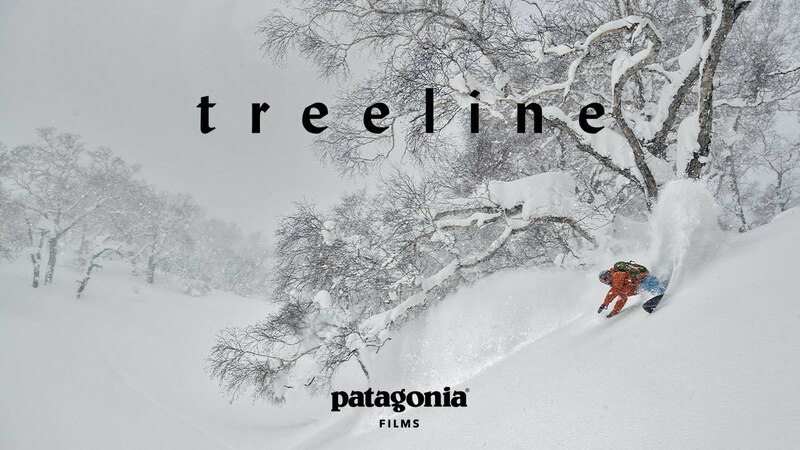 On many ski touring routes in Hokkaido, the first few kilometers of the approach from the trailhead may be on narrow single-track skin tracks through tightly-spaced trees. In such situations, the final stretch of descent will also be along those up-tracks. The commonly accepted rule in Hokkaido (and in Japan in general), however, is that climbers have right of way (source: https://yamamaimai.com/topic/tozandou/, HT: Haj), so when descending down these tracks, keep speed to a minimum and keep in control, giving way to anyone climbing up the skin track. One of the best way to make friends on the mountain is to work together to break trail. I found vast regional variation within each culture (city vs. suburb vs. rural), and homes most inviting in Taiwan and Hungary, vs. Japan and HK (having close family and friends in each). Thank you for this thoughtful posting and for what you do, Rob. And congrats to your PNAS publication. It’s a fascinating study and quite an impressive list of collaborators. I was somewhat surprised with the correlation between relational mobility and interdependence subsistence style index comparing Far East Asian cultures and with Hungary as an outlier. Curious to learn why Singapore appears to be missing on the historical/ecological index figure. Best wishes to your academic pursuit! Hi Jenny, thank you for the kind words. I’m glad you liked the PNAS paper! We’ve got a site where you can explore the relationships, if you’re interested: http://relationalmobility.org/. As for Singapore’s absence, it was because not enough of the seven indicators of the composite threat measure were present (see paragraph two of p. 15 of the Supplementary Information here: https://www.pnas.org/content/pnas/suppl/2018/06/29/1713191115.DCSupplemental/pnas.1713191115.sapp.pdf). Many thanks again! Btw, I found vast regional variation within each culture (city vs. suburb vs. rural), and homes most inviting in Taiwan and Hungary, vs. Japan and HK (having close family and friends in each). Quite right Jenny. The stats tell us that there is only about 9% of variance in relational mobility between countries. This means that relational mobility varies the most within countries. Rural vs. urban is certainly part of it.